Today’s piece of Ninja Gaiden Z information leading up to the game’s release is a small trailers going in depth of the character development of Yaiba: The new protagonist of the new Ninja Gaiden game. It also delves into Yaiba’s cybernetic arm and how it works into gameplay. It sounds to me that they might be going for an “unlock new ability as the game progresses” staple of the genre. 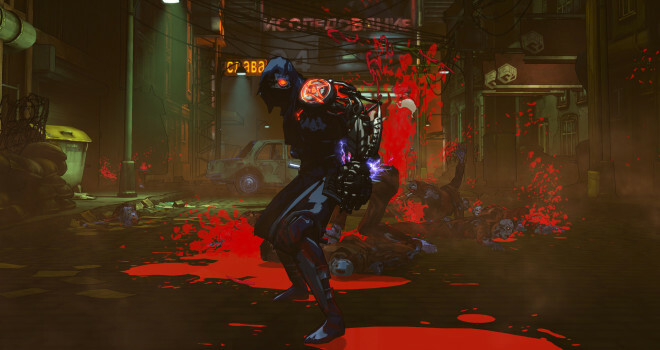 For a quick refresher, Ninja Gaiden Z is a spin-off game in the highly acclaimed (and difficult as hell) series. But, just like with DmC and Silent Hill for the PS Vita it was met with massive hate from the “fans” but not on a massive scale as the other two, because in the gaming world, change is evil. I would like to reiterate that it’s only a spin-off and it won’t tarnish the “flawless” Ninja Gaiden franchise. I swear these people forgot about Ninja Gaiden 3. I support Keiji and Tecmo Koei and I can’t wait to play it on release.